Without a transition plan in place, many of our region's businesses are in danger of closing, depriving their communities of employers as well as the vibrancy that helps our towns and villages thrive. 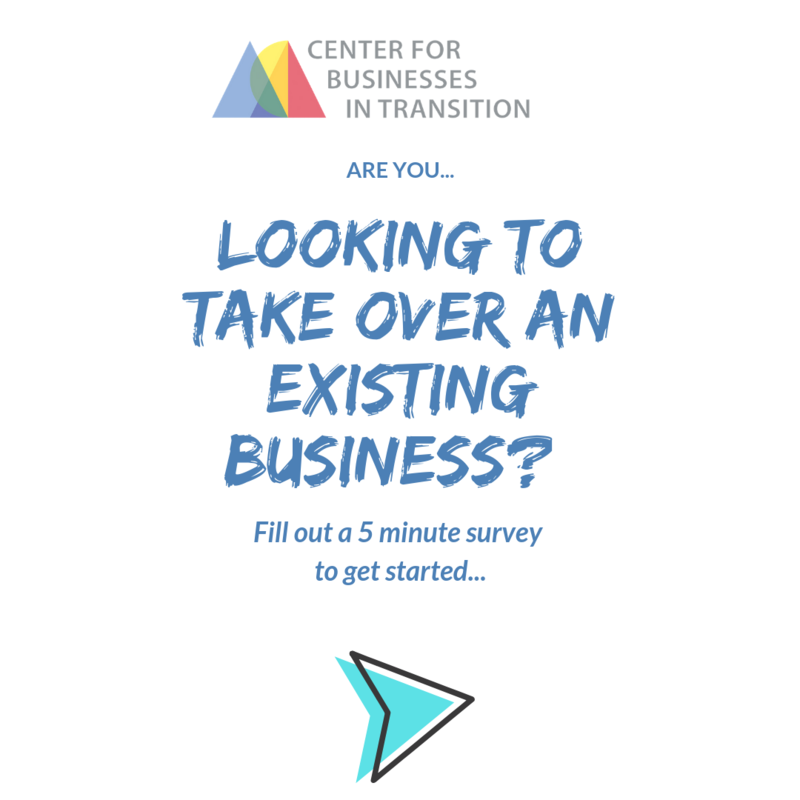 What is the Center for Businesses in Transition? 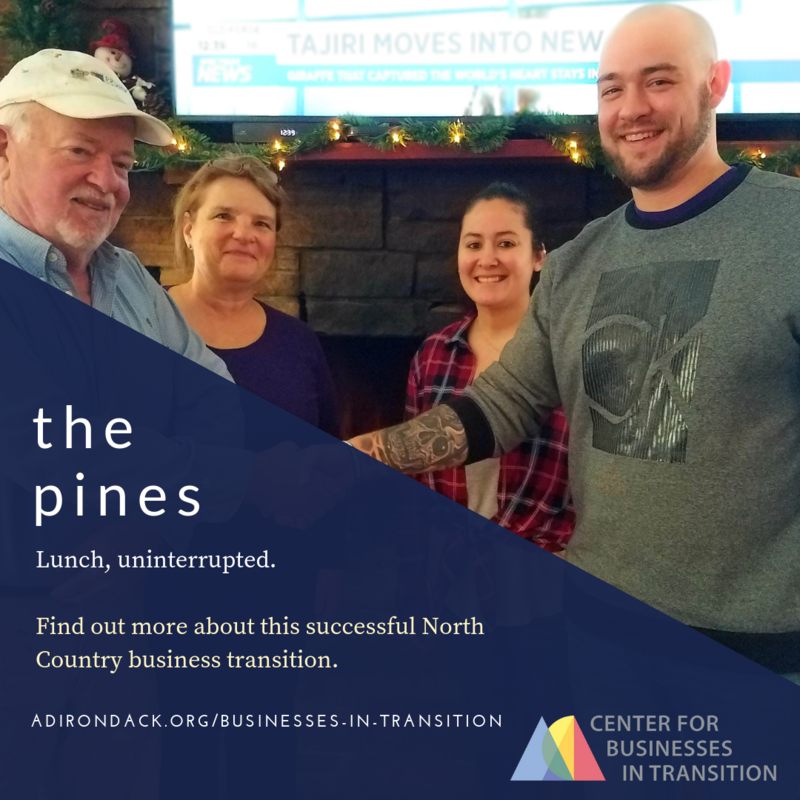 The Adirondack North Country Center for Businesses in Transition addresses the loss of area businesses by providing matchmaking services with potential buyers, access to planning tools and connection with existing services. The Center is a dynamic partnership between regional organizations and individuals invested in the retention of local businesses and the future of our communities. The goal is to help owners sell their businesses on the open market, complete intergenerational family transitions or convert to an employee-owned or cooperative model. Although we call it a Center, it is not housed in one location. The Center is staffed with a full-time coordinator at ANCA's central office & part-time outreach liaisons throughout the region dedicated to increasing the number of successful transitions. More than 10,000 businesses in the Adirondack North Country are owned by Baby Boomers looking to retire over the next several years in the so-called “silver tsunami.” It is more than likely that most of these business owners do not have a transition plan. Nationally, while more than 1/2 of small business owners expect to retire in the next 10 years, fewer than 15% have an exit plan in place - despite the fact that 78% of small business owners intend to sell their businesses to fund retirement. Many businesses are unfamiliar with solutions such as employee ownership, particularly in the form of worker cooperatives. Worker Cooperatives provide a means through which a business may be transferred to individuals who are already invested in its success, keeping the business and jobs local. ANCA & a network of public, private & nonprofit partners has establish the North Country Center for Businesses in Transition. No comprehensive program existed in our region to provide infrastructure & fill these gaps... until now. 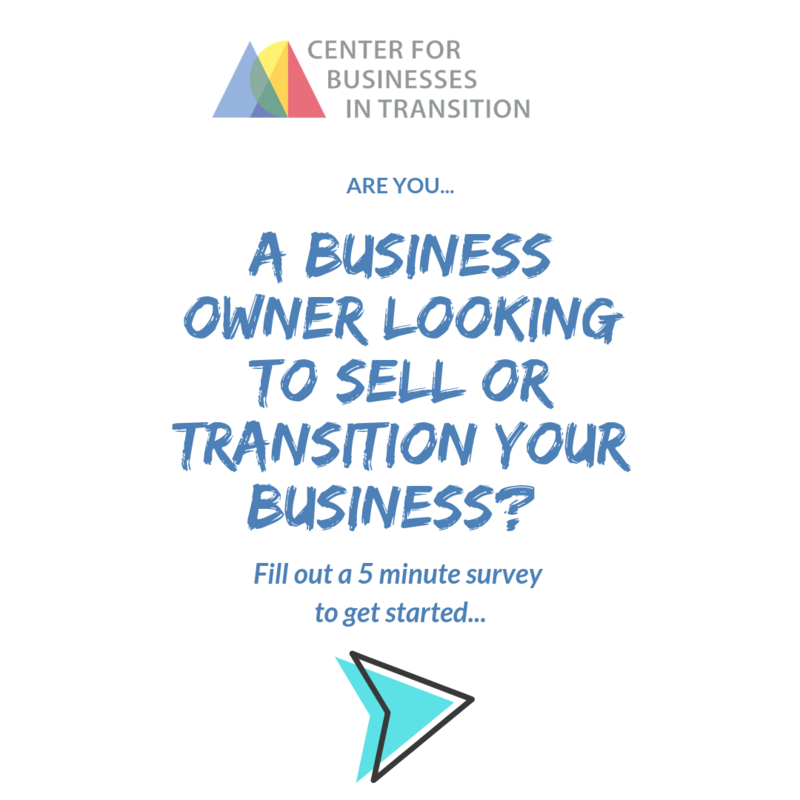 Check back soon for a portfolio of available resources for businesses in transition. 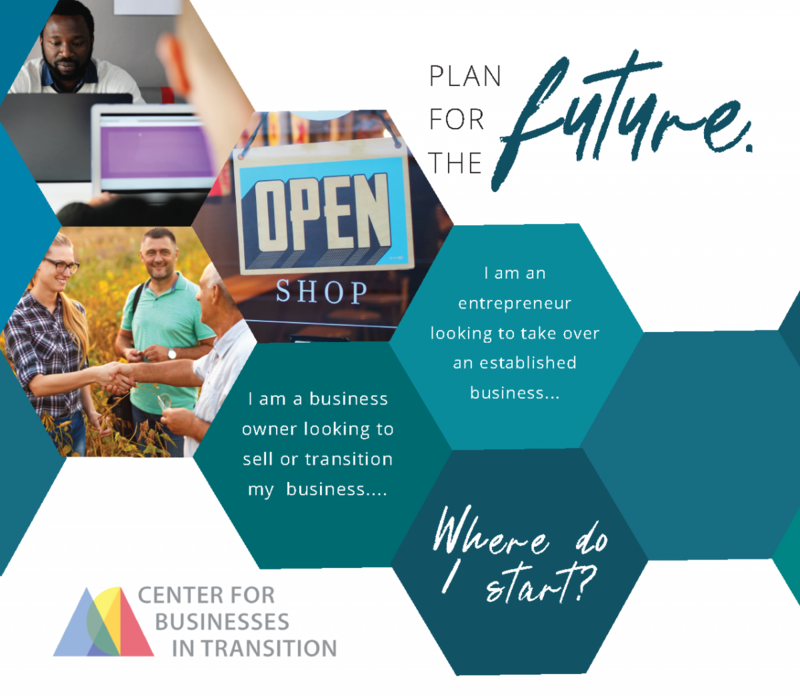 The Center for Businesses in Transition will host a monthly workshop series that covers topics relevant for transitioning businesses. The free morning workshops, scheduled for Wednesdays from 8:00 am-10:30 am from April through August, will be hosted by partner organizations throughout the region. For those who are unable to attend workshops in person, community liaisons will offer online viewing opportunities at other locations around the North Country. Workshops will also be recorded so that interested business owners will be able to view them at their convenience and as needed in the future. Click here for the full details about the series and to register. In the year ahead, the Center will also be sponsoring additional programming which will be developed by regional partners and include half-day workshops on business valuation, farm transitions and other topics related to business transitions and succession planning. Free! Each session will be offered live at two locations and available online after the session. Read about businesses in your backyard who have successfully transitioned to new ownership. The Center for Businesses in Transition will benefit greatly from bipartisan legislation recently announced by Senator Kirsten Gillibrand (D- NY) at ANCA’s Saranac Lake office. The Main Street Employee Ownership Act will improve access to capital and supply technical assistance to businesses seeking this type of transition. Focus on employee ownership is growing nationally, as data shows these types of businesses pay their employees more, are more productive and supply greater stability. For more information about this initiative contact Jacob Vennie-Vollrath or Danielle Delaini at transitions@adirondack.org or (518) 891-6200.